Today’s 12 Days of Fitness tip will help you with your strength training goals! Don’t have strength training goals? You should – strength training offers tremendous benefits to your fitness and wellness levels. A couple days of resistance training per week can lead to big changes in your body. It’ll strengthen your muscles and bones, give your posture a lift and boost your mood. Strength training also stokes your metabolism, so you’ll burn more calories even when you rest. And it slashes your odds of getting injured. Be sure to work every muscle group, including your chest, back, shoulders, legs, arms, abdominals, hips, and lower back. Overlooking a body part can lead to muscle imbalances and posture problems. Don’t go fast. Slow, controlled movements are better. Whether it’s a dumbbell, band or machine, lift for a count of two, lower for three or four. And, don’t quit too soon. You don’t have to stop when you reach the end of a set. You can try “going to failure.” This means lifting until you can’t do any more reps with good form. It’s tough, but it’s an ace at building strength in less time. 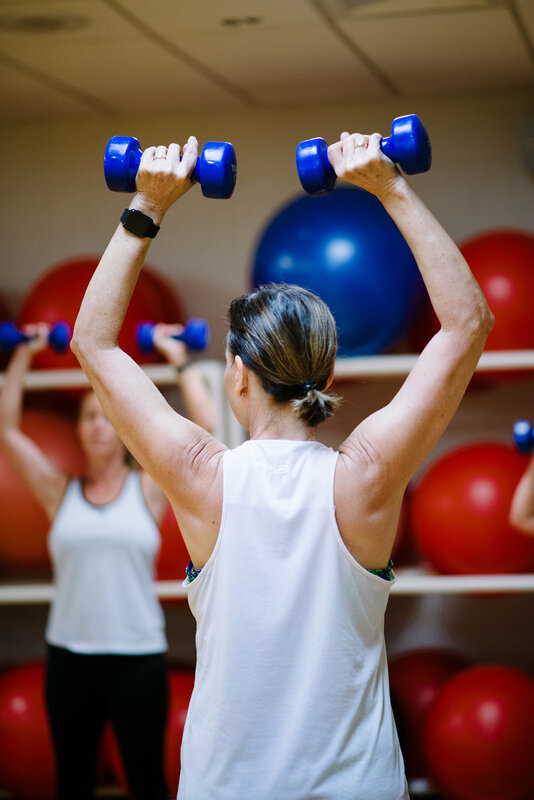 Learn about strength training and all the other ways you can get fit with us – visit our Fitness and Wellness page.